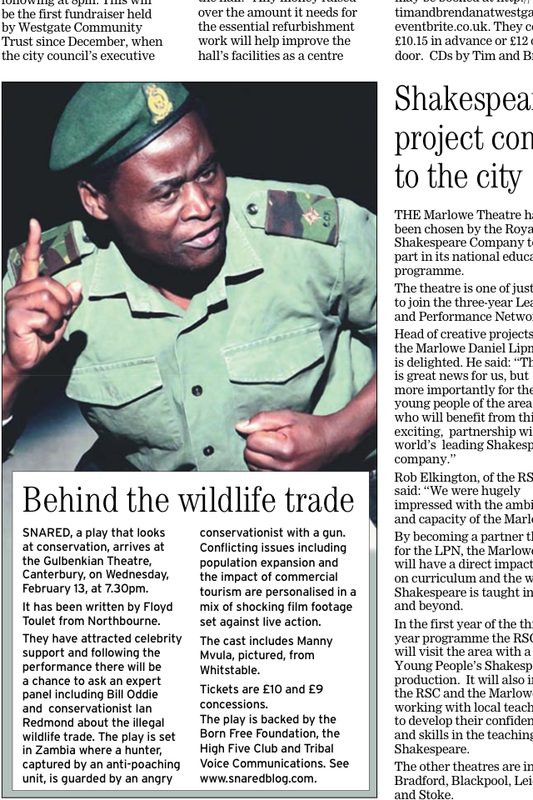 Originally conceived for the stage by Tim Marriott, SNARED – a new drama about an age old conflict – toured the South east of England in 2012/2013 to critical acclaim from a variety of organisations and individuals including respected wildlife campaigners Will Travers, Ian Redmond and Bill Oddie. Today – World Wildlife Day 2018 – we are delighted to announce that SNARED has been specially adapted for radio and will be broadcast in Africa, the USA, Great Britain and beyond on November 10th! 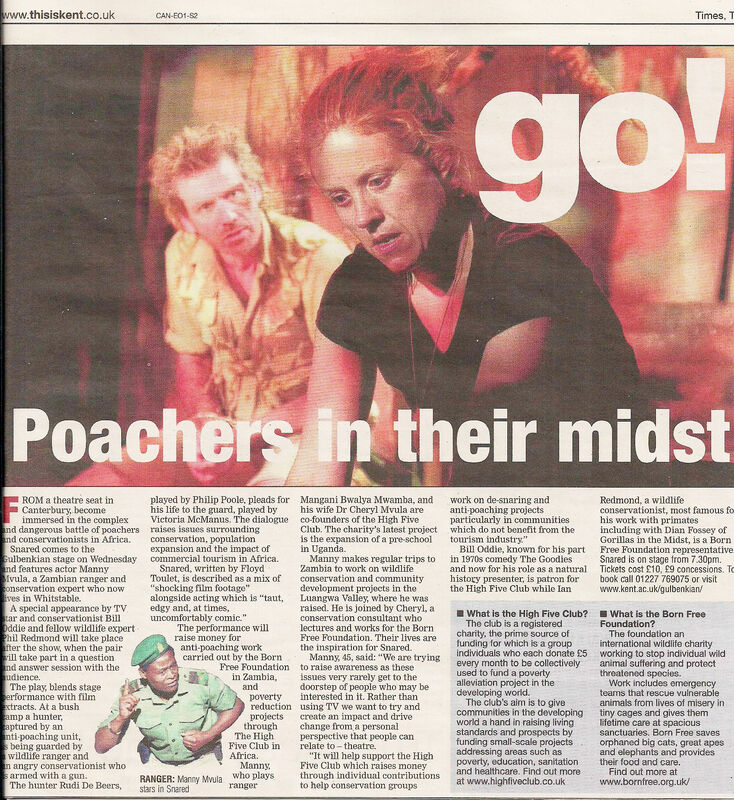 Endorsed by the Born Free Foundation and introduced by celebrated actress and wildlife campaigner Virginia McKenna OBE, SNARED explores the tensions surrounding the poaching of Africa’s wildlife, the topical issues surrounding the trophy hunting debate and the growing conflict between the needs of the continent’s people and its wildlife. We want its broadcast and follow-up Q&A session to inspire people who know, first hand, the costs and benefits of sharing the land and its resources with wildlife, to discuss their experiences with listeners. If you would like to help promote the event, or broadcast the play, please check these pages for details or visit our new website at www.snaredinafrica.com where you can also play a selection of ‘invitations to listen’. By Dave Mairs, Deputy Editor. It is one of the environmental horror stories of our time and, as the grim toll keeps mounting, there seems no end in sight to the slaughter of Africa’s big game. More terrific coverage from the East Kent Mercury.